The State Committee on Property Issues of Azerbaijan will hold next auction on privatization of state property on October 9, where 67 state objects will be put up for sale. The auction will offer 17 joint-stock companies, 33 small state enterprises and 17 non-residential areas. The joint-stock companies, exhibited for sale, are mainly located in Shirvan, Barda, Lankaran, Khachmaz and other cities and regions of the country. Thirteen non-residential areas are located in Baku, two-in Ganja, others in Samukh and Sabirabad. In the first half of the current year 114 auctions were held, during which 350 state properties were privatized. The privatization process is designed to attract both foreign and local investors, as well as develop the business environment of Azerbaijan. 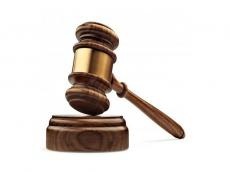 Moreover, the State Committee on Property Issues held the first electronic auction on July 4. The “electronic auction” service, which is available on the website privatization.az, combines the privatization procedure of vehicles and equipment. In the future, it will be possible to privatize small state enterprises and facilities, joint-stock companies through electronic auction. Now, the corresponding work in programming is being implemented. The State Committee on Property Issues was established on May 19, 2009 on the basis of the relevant presidential decree. The main activities of the State Committee are the management of state property, attraction of investments, maintenance of a single cadastre of immovable property, maintenance of a land cadastre, organization of a land market, protection and improvement of land quality.